Best Family Mobile Plans in the UK 2019: Discount SIM deals or Data Sharing? If you live in a large household, you know the pain of having multiple phone contracts, luckily a number of networks are now offering plans that are designed specifically for families. These family plans offer discounts and offer the ability to consolidate multiple bills into one which has the additional perk that only one family member needs to go through a credit check. When it comes to family plans, there are two options – discounted plans and shared data plans. A discount SIM deal or phone contract requires you to sign up for a single mobile contract. After this, any additional SIMs that you add come at a discounted price. The other option is a shared data plan – these pool data together which then can be shared. With this type of plan, each time an individual uses data above their allowance, instead of incurring out of bundle charges, this comes out of a shared pool. This is a great option if there is low and heavy data users in the household, which can be balanced off. We rank BT first for discounted family plans. The plans are really easy to understand. For example, if the primary account holder is on the essential plan, which is £10 a month, the second SIM added to the plan costs 20% less (£8/month). This means that the two SIMs will cost you £18/month instead of £20. In case you add a third SIM, it’ll costs you £26 as opposed to £30. Basically, the 20% off applies to all extra SIMs on your plan. You are allowed to add up to 4 SIMs. So, the plan can hold 5 different SIMs. As for the primary contract, this has to be a 12 month SIM plan or a 24 month contract. BT Mobile offer 5 million Wi-Fi spots across the UK to their customers check out our detailed review to learn more. Alternatively, go straight to BT Mobile’s website to check out their latest deals. Just like BT Mobile, you are allowed to add 4 extra SIMs to your plan to have a maximum of 5 contracts under a single family plan. The main account holders plan can also be either a SIM or phone contract. Unlike BT, Tesco have additional flexibility by offering perks including monthly discounts, Club Card points, extra minutes or free data. Tesco’s contract pricing is also cheaper than BT and a number of competitors and the perks can be changed each month. Tesco Mobile are a great low cost SIM option – we go into depth in our detailed review. Otherwise, head straight over to Tesco Mobile’s website to check out their latest deals. Unlike BT and Tesco which allows a maximum of 5 SIMs on one plan, Vodafone allows up to 10. After signing up for the primary contract, each additional contract earns you 15% discount. Vodafone contracts starts from £11 per month and the discount applies to SIMs, phone contracts, tablets & dongles. a SIM-only contract or a Mobile contract. This is a great, simple to use offer. Learn more about Vodafone by checking out our detailed review where we talk through a number of perks they have on offer including free access to a number of premium subscriptions such as Amazon Prime Video with some of their Red Plans. Alternatively, you can check out Vodafone’s deal directly on their site. The O2 family discount plan works differently to the other networks. O2 refresh means that your device and airtime in your contract are treated separately. 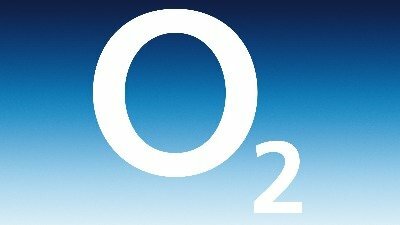 You can get up to 50% discount with an O2 deal (First device is 20% off, then 30% & so on). However, this discount only applies to the airtime element of the contract and not on the device. The plan is also limited to phone contracts and isn’t available on SIM only deals. Despite this, you could still be earning serious discounts, especially with up to 20 devices allowed per family plan. Check out O2’s latest deals. EE’s family plan provides up to 10% discount off each additional plan that you add to your primary contract. In addition, you enjoy 1GB data for each additional contract. The main contract however needs to be on a 12 or 24 month deal. Other than getting discounts on extra contracts, you also enjoy bonuses on iPads and tablets. Like BT and Tesco, you are allowed to add up to 4 other devices. Or alternatively – check out their deals available direct on their site. Generally, Three has cheaper deals than O2, EE, and Vodafone. Discounts with Three’s deals can be large or small – on some SIM only deals the discount can be as low as £1 per month but with some devices they waive any up front costs which can lead to some serious savings. Find out why Half Cooked rates Three as the best all-around network in the market. Otherwise you can go direct to Three’s site to learn more about their latest deals. While these networks do not offer any family plans, the contract deals are offered at competitive prices and there are a number of other benefits to enjoy. For example, giffgaff deals start from just £5/month and they have an unlimited data option with good 4G speed coverage. Plusnet deals, on the other hand, start as low as £6/month and you are able to enjoy at least 250 free minutes, 500MB data, and 500 free texts per month. iD Mobile offers the cheapest SIM in the market at £3.99/month and there is the benefit of Wi-Fi calling and data rollover. SMARTY Mobile, pays you back for the data you don’t use, so you’ll never waste an MB of data ever again. EE Data Gifting scheme is the simplest and easiest to use of all the data sharing plans available. It gives individuals the opportunity to share data between plans which can be on the same account or different accounts. If someone in the family is running low on data, instead of incurring nasty out of bundle charges, data can simply be transferred over. O2’s sharer plans give customers the option of sharing their data with up to 10 other contracts. The main plan needs to be an O2 refresh phone purchased from O2. Once you have purchased your plan or activated an existing plan, you can share your data with up to 10 individuals. The only other requirement is that the primary contract should have a minimum of 1GB for data sharing. The biggest advantage of Sky Mobile is that it allows you to roll over unused data each month. And you don’t just lose it at the end of the following month, customers hold onto their data for up to 3 years. The moment you add other contracts to the primary one, all users can share the rolled over data. However, you’re not allowed to share your normal data allowance. It’s only the unused/leftover data that can be shared. It normally goes into a Sky Piggybank for communal dipping. You can use the Piggybank to save on phone products and accessories. Vodafone has a shared family plan called Red +, but it’s no longer available for new customers. Only existing customers can use this, but will need to activate it by calling Vodafone. Those who took the contract between 2016 and 2017 can have their plans converted into Red + provided that their existing plan meets the 1GB data threshold. The primary account holder can share data with up to 9 users. Each user enjoys unlimited minutes and texts. The shared data is between 1GB and 50GB. Which Family Plan comes out on top? BT Mobile takes the top spot when it comes to discounted family plans. With a straightforward 20% discount on all additional plans, there is nothing difficult to understand when compared to the likes of O2. On top of this, each additional plan is on a 30-day deal, which provides the customer flexibility. For data sharing plans, EE comes out on top. Data Gifting with EE is straight forward and simple to use. There’s also no restriction to who you can share this data with, anyone else on an EE plan can receive and send data. Previous articleVodafone vs Three Review 2019: Sky Sports Mobile Subscription or Unlimited Netflix Streaming? Next articleBT vs EE Network Comparison 2019: Both networks running on the same network with very different perks.